This is NOT your ordinary guide. Rather, it is our personal recommendations for the BEST Dining, Lodging, and Things To See & Do in Tucson & all of Southern Arizona. 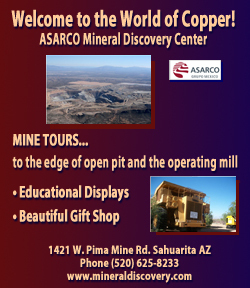 Visit our cities in Southern Arizona. 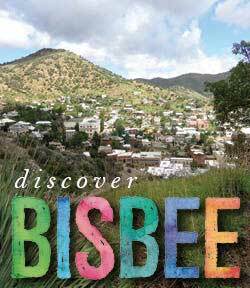 For the best in • Arivaca • Bisbee • Duncan • Elgin • Florence • Marana • Patagonia • Sonoita • Tombstone • Tubac • Willcox and many scenic & historic places in between. Here you will also find our 50 original videos, dozens of slideshows, & recommended Day Trips, Half-Day Trips & 2-3 Day Road Trips, plus Local History, Ghost Towns and so much more! Welcome! I’m Jim Gressinger. I’m pleased to be your guide to this land so rich in Old West history and Spanish, Mexican, and Native American cultural heritage. You are now among our half million annual visitors. Southern Arizona Guide is very different from Chamber of Commerce and Visitor & Convention Bureau guides. For example, editorially we only recommend those attractions, activities, restaurants, and places of lodging that we wholeheartedly recommend to our friends and family. Similarly, we only accept advertising from establishments that meet this same discriminating criteria. Feel free to contact us with your suggestions! Place your cursor over any hotspot. Then click on the option in the pop-up balloon. If you don't find what you're looking for on the maps, just use the Main Menu around the banner or the Search By Interest in the right sidebar. View more than 50 original HD videos plus a portfolio of slideshows about many of Southern Arizona’s most interesting people & places. Make informed dining & lodging decisions based on our discriminating Dining & Lodging Reviews. With over 700 restaurants in the area, you will need to know where the locals eat and what to expect in the way of ambience, expense and quality of fare. Be sure to visit our Budget Dining page for good food on a budget. Find the most Beautiful & Historic Scenic Drives, Best Hiking, Wine Tasting, Picnicking and Camping, Birding, petroglyphs, horseback riding, and more within 2 hours of Tucson. Read about the Apache Wars, and visit the forts, mountains, and canyons where savage battles were fought. Get to know some of the leaders on both sides. Decide for yourself if Wyatt Earp’s killing spree in the aftermath of the Gunfight at the OK Corral was justified. Find out where the Ghost Towns are that are worth a visit. Plan fun adventures and Activities for the Kids. Use our Detailed, Interactive Maps to easily plan your tour and find your way around or find Dining close to where you live or stay. Anita Badertscher, a U.S. National Park Ranger who gives you a behind the scenes tour of the historically important Tumacácori Mission. Joy Timbers, owner of the beautiful & historic Calumet & Arizona Guest House in Bisbee and a fountain of knowledge about this fascinating historic city. Dr. Jay, whose Walking Tour will take you back in time to the rough & ready mining town of 1880’s Tombstone. Virgil Earp, whose 1881 interview takes place just minutes before he leaves to disarm the Clantons & McLaurys near the OK Corral. Tom McLaury, who explains how the Earps have enticed his law-abiding ‘Cowboys’ into a gunfight just moments before Doc Holliday sends him to the Promised Land. A Spanish soldado stationed at the Tucson Presidio in 1776 who describes his soldier’s life on the frontier of New Spain and complains that the Apaches don’t fight fair. Dan Granger, a naturalist, who introduces you to the magnificent Sabino Canyon, with all its hiking trails, rugged beauty, and unique wildlife. Four Docents at the Arizona-Sonora Desert Museum will teach you about some of our strange plants and critters. Use our Up-To-Date Events Calendar to enjoy annual performances, street fairs, reenactments, celebrations, and festivals. Check out our recommendations for the Best Museums, and Galleries. There is no lack of things to do at night either. See our Performing Arts page. Find out where the Farmers Markets are being held and which are the Best. Under our Shopping Menu we will take you to some Unique Shopping Spots as well. We want to hear from you! Contact Us. Drop us a note. LIKE OUR PAGE on your favorite Social Media.